All you history buffs….all you people who thought you’d like to write something historical. There’s a tunnel that runs underground from the old police station to the middle of the court room, in fact it comes up right in the dock where the accused sits. And the tunnel has a very creepy feel to it. Actually, the court House has it’s own ghost, or so I’m told. The judge’s chambers’ has an exit into a walled garden. A quick get away or a peaceful smoke, take your choice. Across town is the old Kenmore Hospital. A once state of the art mental asylum built in 1890, it is riddled with stories of despair and abuse. There’s a bear pit at the back of the head doctor’s living quarters. Yes, a bear pit. At the same time there is a peaceful calm surrounding it. Because it embodied the philosophy that mentally ill people were to be cared for, while given the job of supporting themselves, growing food, washing and making clothes, at a time when life was pretty hard for most people. 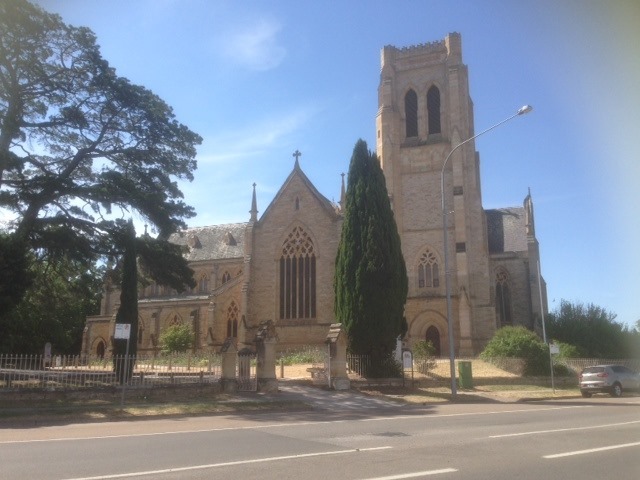 They also gave back to the community of Goulburn. The patients built and tendered a beautiful cricket ground and sporting fields and a hall that entertained citizens with many musical comedies over the years. I find the two court buildings down by the river, one for men and one for women, the most tragic. This was where the patient came to be judged wether to be freed and returned to society, or not. The family would attend and the decision made. Then there are two amazing cathedrals. The history attached to these buildings is incredible. Count Rossi locking himself in St. Saviour’s Cathedral – and the Bishop out. You’ll have to research yourself to find out why. Let me just say that church politics have always been intense. Bushrangers abound and we have the pioneers and the wonderful women who went before us. Caroline Chisolm brought her wagon loads of girls through Goulburn and on to the farms and jobs she’d organised for them and the stories of our wonderful nuns will make you very proud. And abuse, you’ll find it too. But it’s not the whole story. 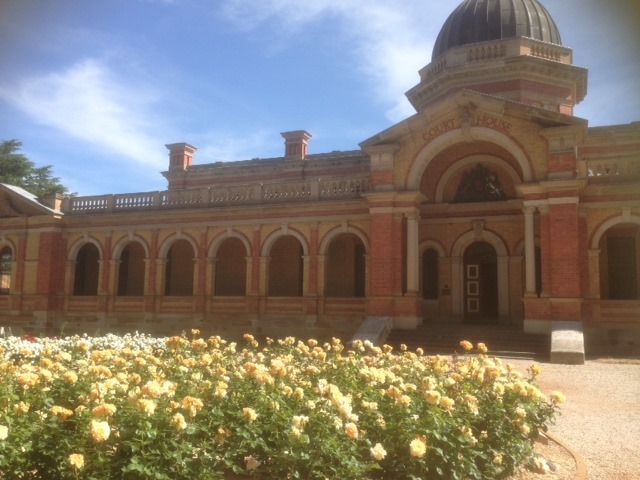 So come to Goulburn and research your next historical novel. Sit down at Roses Café and enjoy a good coffee and drink in the atmosphere. It’s all here.